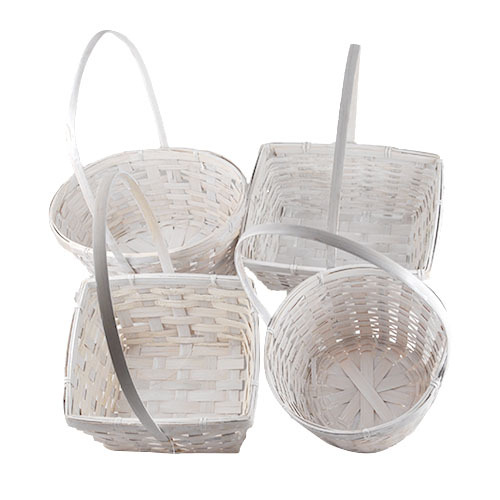 Asst White Bamboo Handle Baskets - Set of 4 The Lucky Clover Trading Co.
Service was excellent ! 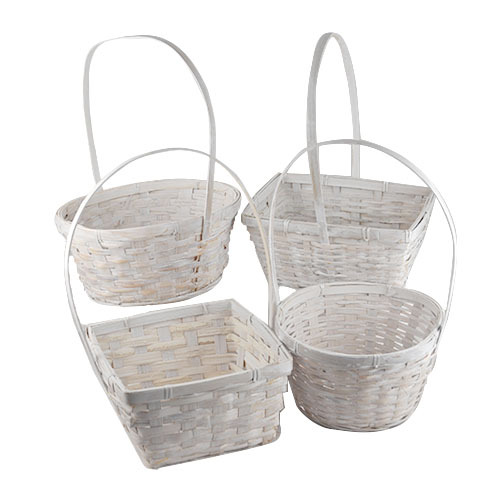 The BASKETS arrived in very good condition and were packed well to insure safe shipping. 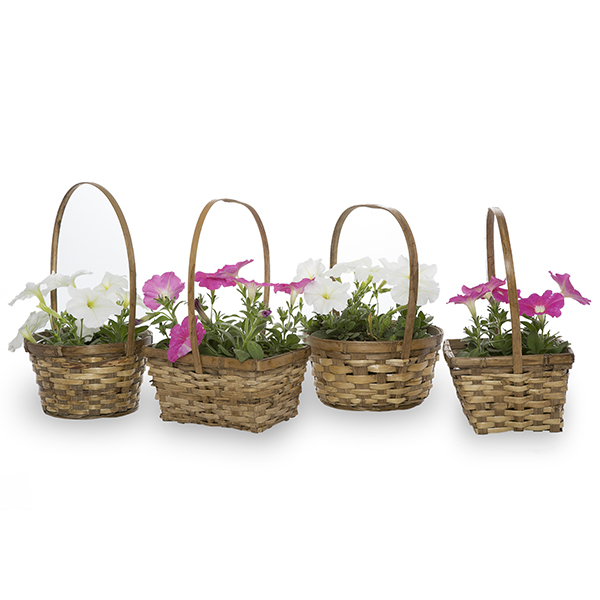 Description of the baskets matched the product that I received and I was very pleased with them! The baskets I received were on time and exactly what I needed for a wedding project!